Use Any Left Over Potatoes! The restaurant serves this Potato Scramble Recipe with cooked sausage patties and buttermilk biscuits. Ummm Ummm good! I like to call it "grub" on the menu just for fun. Use left -over cooked potatoes! Preparation time: 15 minutes. Servings: 2. 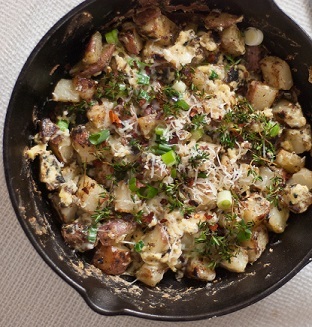 Enjoy your potato scramble and the company of those you share it with! This restaurant recipe is easy but delicious. 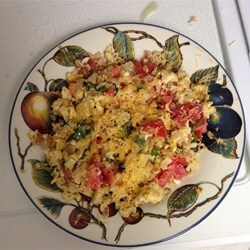 It is a favorite restaurant recipe for breakfast. "Why, sometimes I've believed as many as 6 impossible things before breakfast."